Ethical behavior is usually seen as the absence of wrongdoing. Ethics standards and laws proscribe certain behaviors but say little about how an ideal public servant ought to behave. Demanding public servants be ethical is not enough. They must be driven by the desire for honor. After stints in the State Department, White House, our embassy in Moscow, and on Capitol Hill, he went to the NRC. During a ceremony honoring him, a fellow commissioner said: “[H]e can quote the most obscure regulations, and give exact details on how they were written.” McGaffigan dramatically improved NRC’s reputation for scientific excellence. McGaffigan was an honorable public servant. Public servants should approach their role from two different vantage points. They must be program administrators, but they must also be responsible citizens. Doing both, they satisfy the twin demands of honor. Program administrators focus on laws and regulations as guiding documents. 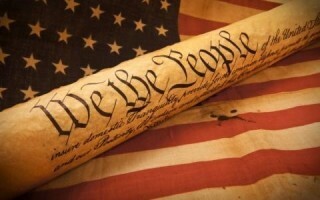 Responsible citizens look to the founding values of the Constitution and the Declaration of Independence. Program administrators focus on the requirements of the code of ethics; responsible citizens also focus on their oath of office. Satisfying the oath results from a constant questioning of how well the Preamble’s promise is being served. Public servants as responsible citizens see themselves as trustees of founding values. They know they have only delegated authority, but they think beyond what they are permitted to do to what their oath requires them to do. This sounds idealistic, but idealism is an aid to acting honorably. James Madison said: “[J]ustice is the end of government.” Responsible citizenship sees justice as more than adherence to law and programmatic achievement. The audience for the public servant as responsible citizen goes beyond customers. Customers need only consume government’s goods and services. Citizens need to be actively engaged. Passive citizenry is not the ideal to seek because it makes the civil servant’s job easier but the danger to avoid because it distances the public from its responsibility to share in governing. All public servants must constantly learn, but responsible citizenship means gaining a deeper understanding of the Constitution and regime values. Failing in one’s job as a program administrator may lead to a loss of power and perks, but failing as a responsible citizen is shameful, the antithesis of the honor we must restore to public service. Great Article–It certainly runs along the same theme I have been trying to get across for quite some time. It may be due to my own ineffective delivery, but I did a TED Talk along these lines at the 2015 annual conference of the Municipal Management Association of Southern California (MMASC). Granted I had a presentation that went way too long. My impression–I got a lot of blank stares from an audience of about 150. If I were to guess, the audience wanted an outline of applications. Somewhere along the line, the concept of public service and a working knowledge of the underpinnings of our democratic system are treated as theoretical notions. The desire to grasp applied skill sets concerning performance, big data, management, transparency, and leadership dominate the discussion. These concepts clearly need to be mastered, yet, without an inherent drive to do “Good and Fight Evil” our up and coming generation of public servants may be more concerned about technique and their careers rather than public service. It is about the trains running on time without knowing why and where. Excellent piece! The essence of personal and collective responsibility in all aspects of life must be grounded in “honor.” In Greek, there is a word, philotimo (roughly translated as “love of honor”), that captures this important concept. Importantly, philotimo is an integral part of the human quest for Meaning (See our award-winning, Greek inspired book, “The OPA! Way: Finding Joy & Meaning in Everyday Life & Work”). Moreover, it is the search for Meaning–what my mentor, the world-renowned psychiatrist, Dr. Viktor Frankl espoused is the primary, intrinsic motivation of human beings–that guides and drives honorable, not only ethical, behavior. Thank you for bringing attention to public/government service as an honorable calling! (See also my PAR article, “The Search for Meaning in Government Service,” Vol. 64, No. 1, January/February 2004, pp. 106-112).